Puppies start teething at about 4 weeks of age when their baby (deciduous) teeth start to erupt. At around two to eight months of age, the baby teeth fall off and are replaced by permanent teeth. 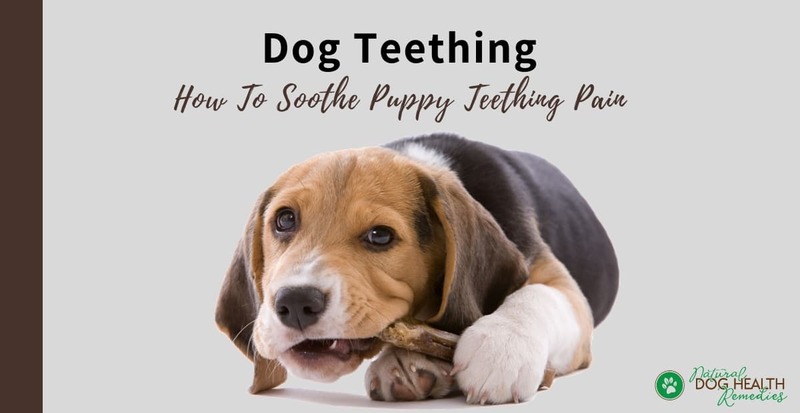 For teething puppies, when their teeth are "erupting", their gums are extremely sore and raw. To alleviate the pain and irritation, they tend to chew and bite and gnaw on everything they can get at. Obviously, it is not the puppy's fault and we should not punish the puppy (even when we discover that she has chewed a big hole in our sofa...). Natural home remedies such as herbs and homeopathic remedies can be used to help relieve teething pain in puppies. Get some aloe vera juice and freeze it in a small paper cup. Once it is frozen, you can peel back the paper cup and rub the frozen juice on the puppy's gums. This will soothe the discomfort in the gums, and will numb the pain almost immediately. You can also freeze some fruits and veggies that are good for dogs (e.g. small pieces of carrot, broccoli, green beans, melons, berries, etc.) and give them to your teething puppy to ease teething pain. 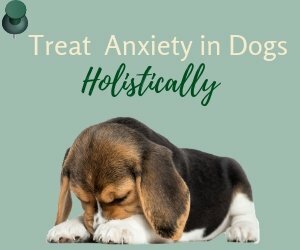 The herb chamomile has calming effects and is excellent in helping a teething puppy relax so that she will be less anxious. Make an herbal tea of chamomile by adding a tablespoon of the dried herb to a cup of hot water. Let it cool and use a needle-less syringe to squirt some of the tea into your dog's mouth. You can also use the hydrosol of chamomile to soothe a puppy's gums. Cool the hydrosol in the refrigerator. Soak a small piece of cotton ball with the hydrosol and use it as a cool compress on the gums. Instead of using the herb chamomile, you can also use the homeopathic remedy Chamomilla as a calming agent. It is particularly effective in calming young animals during teething age. Use low potency (12X or 30X) and administer the remedy two to three times a day. Teething puppies can be given something cold to chew on, since the cold can help numb the pain and irritation in the gums. One simple way is to soak a rope toy in water and put it in the freezer. The frozen rope will be cold and comfortable for your puppy to chew on. If you have Lavender and Roman Chamomile essential oils, add a few drops of the oils to the water before soaking the rope toy. 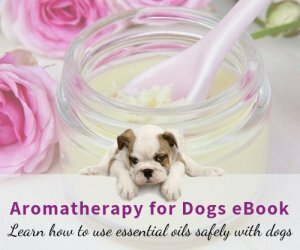 The oils have calming effects on your puppy. 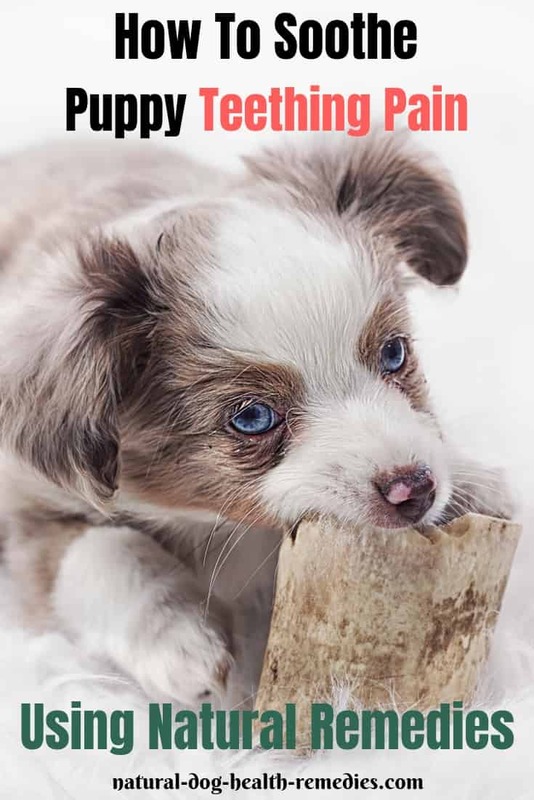 While a puppy may be chewing on things during the period of teething, it is a good idea to train the puppy when she is young so that she knows it is not OK to chew on some of the things at home. One way to stop puppy chewing is to keep all the non-chewable items (shoes, socks, remote controls, etc.) out of your puppy's reach. For items that cannot be hidden away (such as furniture), consider a bitter-tasting chew-deterrent spray such as Bitter Apple. Get some chew toys as suggested above and remember to praise him when he plays with and chews on his toys. Do not hit or scold the puppy when he chews on forbidden items. Just calmly take the item away from him, say "Leave!" in a firm voice, and replace it with a chew toy. Give him lots of praise when he chews on his own toys. 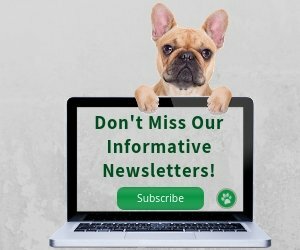 Learn more about dog teeth, puppy teething timeline, and how to take care of puppy teeth here.